The Pokomchi people live in small villages in and around San Cristobal Alta Vera Paz, Guatemala. Fifteen years ago ASOSAP (an updated website is in development) was founded to provide health, education, clean water and hope. Bill and Linda Brierly spent years helping others around the world. In 1999 they traveled to Guatemala and fell in love with a people and a place. Today ASOSAP is led by a young woman who benefited from the scholarships provided by ASOSAP. Currently there are three healthposts sponsored by ASOSAP. This GoFundMe project aims to reaise support for the next two years for La Providencia Health Post (2015 and 2016). The funds will provide for the nurse's salary for the health post, medicines, and equipment for two years. La Providencia provides the most basic health care for about 4000 people who live in nearby villages. Mrs. Florinda Botzoc, 18-years-old, arrived at the health post with her husband and mother-in-law after a drive of 2 hours from the village of Quixalito. She was 5 months pregnant and in a delicate condition due to dehydration which was provoked by diarrhea for the past 2 days. On examination by Nurse Miguel, she also had a fever. Nurse Miguel started her on an IV of Hartman’s Solution, gave her a Tylenol, and applied cool, damp towels to lower the fever. Then the Community Health Facilitator, Enrique Cuz, phoned the hospital in San Cristobal to ask for an ambulance to transfer the patient to hospital. However, there was no ambulance available, so Nurse Miguel kept the patient in the health post under treatment and observation. After 3 hours the hospital phoned to say that an ambulance was now available and at 1:15 am the patient was transferred to hospital in a much more stable condition. Help us GoFundMe for better health care for the Pokomchi though ASOSAP. *All gifts will be drawn for ASOSAP - Hope of the Pokomchi. The group is a registered 501c3 in the Unites States so your gifts will qualify as a charitable donation. We just received our first offline donation! 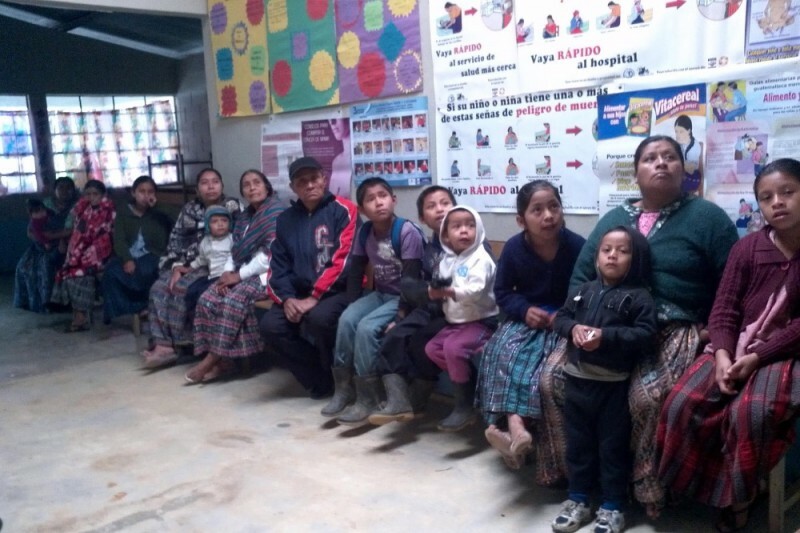 Maybe there are those of you who are interested in helping provide basic health care to the Pokomchi in Guatemala but are skeptical of "crowdfunding." It could be new to you. Remember, we provide other ways for you to participate! Thank you for your support. Remember to Share the project with your Facebook Friends! We have linked to a video produced by friends of ASOSAP - Hope of the Pokomchi. We have been asked about our goal dates. First, we would like to hit funding for 2015 by June 30, 2015. We would then like to hit funding for 2016 by October 31, 2015.